HBO Spain has accidentally aired Game of Thrones season 7 episode 6 by mistake. So please avoid the spoilers ,they would be all over internet soon. 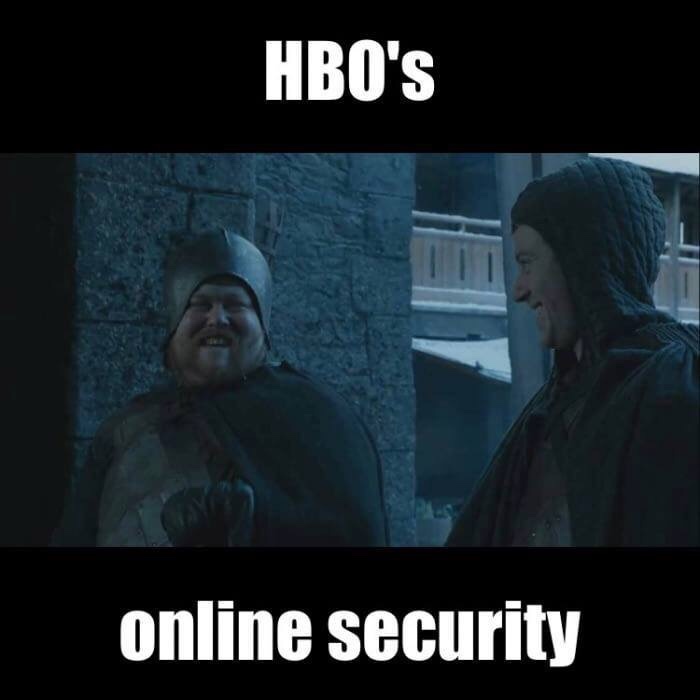 HBO is not having good time. Maybe they're just trying to get ahead of the hackers to take away their leverage of releasing stuff. I read a big spoiler. I already knew the spoiler because I read the season spoilers at the beginning of the season. Gonna be a badass episode. wags83 wrote: I read a big spoiler. I already knew the spoiler because I read the season spoilers at the beginning of the season. Gonna be a badass episode. You have no self control!!! Is it what I think it is? I think it is. Kath525 wrote: Source of the post Is it what I think it is? I think it is. Think of the saddest yet most awesome thing that could happen in the show. That's it. Makes me so sad but also gives me goose bumps. I'm like nervous about it. HOW?! Can't you get in trouble for that?! I accidentally watched it last night. I had no control over what was displaying on my screen and my eyes were stuck open. This will go down in history as one of the best GoT episodes of all time. Top 3-5 for sure. However, before getting to the good and great stuff, I want to start with the plot that was weighing down the episode - Sansa and Ayra. After watching the last episode I was starting to convince myself that they were actually working together. Maybe Little Finger was 1 step ahead but they were actually 2. I was hoping they saw through his plan and were only pretending to fall for it so they could catch him off guard. Nope. It seems like after all they have gone through, the years of torture, training, surviving, etc they went right back to their old ways and are now fighting like children. Sansa is now working WITH Little Finger? Maybe it's a double triple cross and the sisters are plotting together, but that doesn't appear to be the case. I disliked almost all of the scenes in Winterfell because the girls look so stupid and naive now. I hope Ayra giving Sansa the dagger is the end of their fighting. What was more emotional, Dany losing a dragon or Tormund almost dying and screaming for help? Only answer: Tormund. I was in my "The Leftovers" position during the Tormund stuff. I fully accepted he was going to have a horrible death. Speaking of Tormund, his conversation with The Hound about Brienne is top 3 funniest scenes ever on GoT. I should give it #1 because I can't think of something better. Usually when there is a joke in GoT it's 1 line and they move on, but this exchange had multiple jokes. Staying on Tormund, it is nice that he is the who ultimately convinces Jon to bend the knee to Dany. Thank goodness for all of the red shirts with the magnificent 7. They are lucky that they only lost 1 from the group. They held their own way better than they should have against thousands of whites/whytes/wytes. Why do Beric Dondarrion and Thoros have fire swords? How does one freeze to death when you own a fire sword? Did The Hound mean to let Thoros get mauled by a zombie bear? I'm guessing he froze up because the bear was on fire and he seems to be terrified of fire for unknown reasons /s. -Gendry being able to run to the wall that fast. If he was only a few hours from the wall why haven't the White Walkers crossed? -A raven flying from East Watch to Dragon Stone and Dany flying her dragons north in the matter of half a day? The Hound always has the best lines, and this episode was no expection. Gendry: "she stripped me naked and put leeches on me"
The Hound : "but was she naked too?" H: this ones died 6 times and you don't hear him whinging about it. Beric: "We'll meet again Clegane." The Hound: "F**king hope not." NOOOOOOOOOO! This was one spoiler I didn't spoil for myself and now I'm sad. 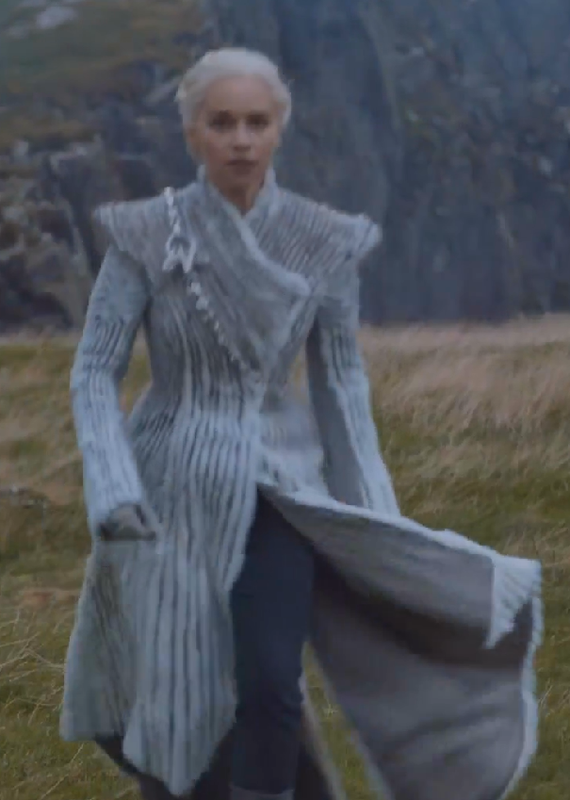 Oh, you're saying her coat is made out of Ghost. You're dumb. I really enjoyed this episode. Luckily the group that went north had a few nameless extras that could get killed with no problem. It was really stressful when Tormund was being dragged into the ice.